We swing in fast food, turn to the gas station or stave off our hunger pangs until we can get something later. I’m sure it sounds familiar. 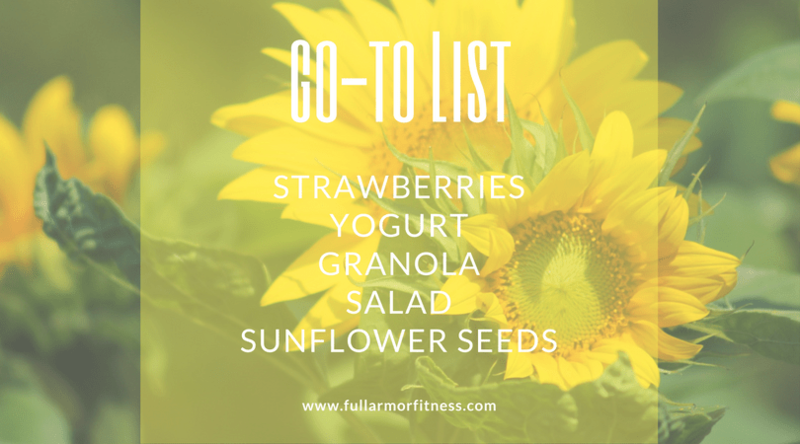 The Go-To-List is an easy tool you can add to arm yourself against the nutritional attacks of busyhood. 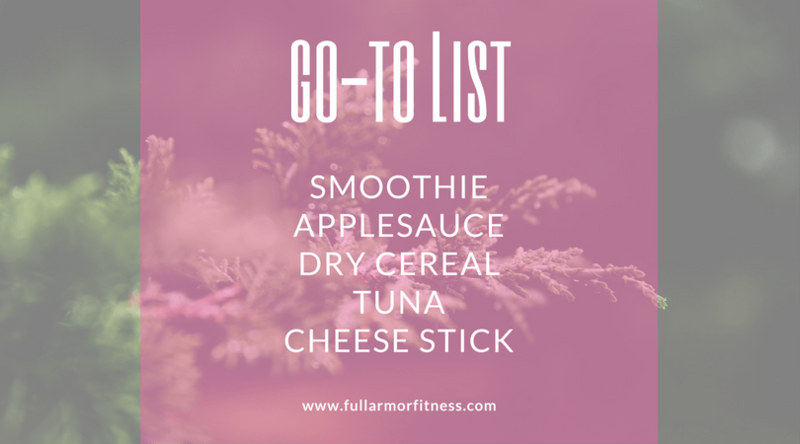 Make a list of 5 foods you generally have on hand that aren’t bad for you. It’s pretty simple. 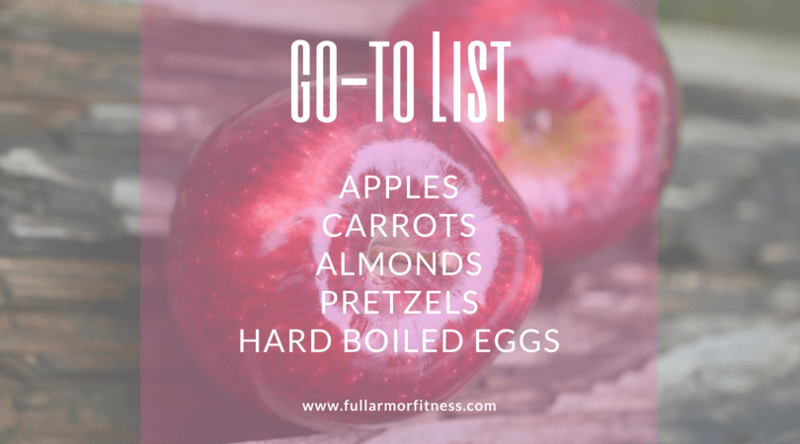 Now if I put baby carrots on my list, it might sound good now, but later when I want something salty, it’s not going to cut it. This is why you can choose 5 foods that are different. One sweet, one sour, one salty, one crunchy, one smooth. This list can also change with seasons: Winter and Spring or soccer or football season, etc. 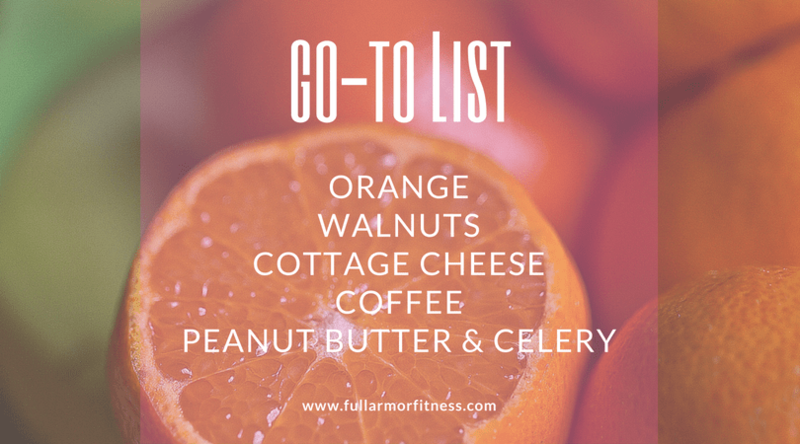 When it’s Winter, I have a completely different list from Summer. 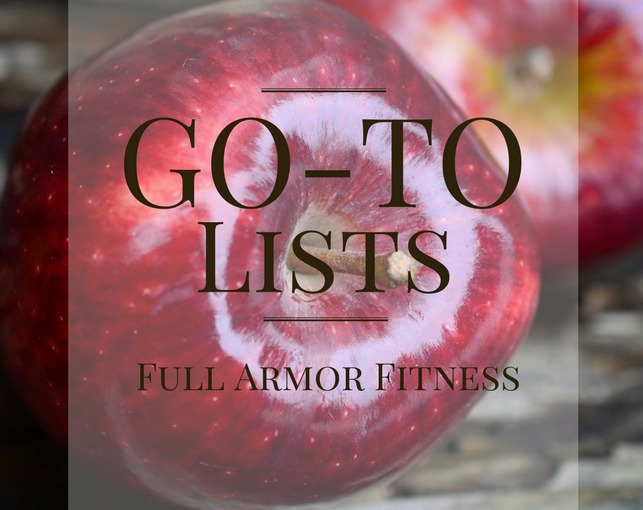 This will enable me to not get bored with my list and – or head back into old habits. Let’s see what you come up with. It’s nice to share ideas – you all have tons of good ones!